There is no failure except in no longer trying - Gateway to Canada | Canada Immigration Consultancy! 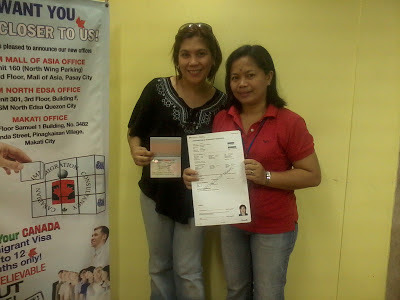 Ms. Maria Lorena Garcia is a Registered Nurse working in Asian Hospital. Her application for permanent residence in Canada under the Federal Skilled Worker program was first submitted to Centralized Intake Office on December 2010. It was returned because the cap was already reached by the time her application was received in Canada. But she did not give up. We filed her application again on July 2011. This time, she was able to make it to the cap. She was required to undergo medical examination on December 2011 and her visa was issued April 2012.